Judith has worked for the firm for many years, taking a break only to have her daughter. 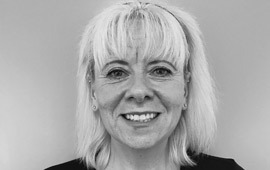 Judith provides administrative support in our conveyancing department, at all stages from file opening through to completion and beyond. She is also on hand for queries that our conveyancing clients may have as their transactions progress. Judith lives in Malvern, and both she and her husband are enthusiastic members of Malvern Joggers and can often be seen pounding the pavements in brightly coloured Lycra.